Cyber security threats have done their part in encryption adoption among businesses. Businesses are increasingly adopting encryption strategies, according to a new report by Thales. 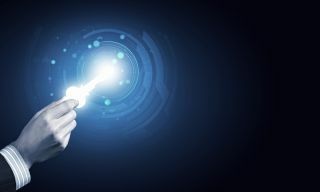 More than four in ten (41 per cent) of respondents in the report said their organisation has an encryption strategy that is applied ‘consistently’, across the enterprise. What’s also interesting as that for the first time since Thales started making these reports (12 years), business unit leaders have more influence on these things than IT operations. Looking at the figures, the report states that two thirds (67 per cent) use one of two routes: They either perform on-premise encryption, or send the data into the cloud, where it’s encrypted using on-premise generated keys. Almost four in ten (37 per cent) said their businesses turn over complete control of keys and encryption processes to cloud providers. “The accelerated growth of encryption strategies in business underscores the proliferation of mega breaches and cyberattacks, as well as the need to protect a broadening range of sensitive data types,” commented Dr Larry Ponemon, chairman and founder of The Ponemon Institute. It’s also interesting to learn that a third (31 per cent) are either using, or plan on using HSMs (Hardware Security Modules), together with the BYOK deployments (Bring Your Own Key). A fifth (20 per cent) said the same for CASB (Cloud Access Security Broker) deployments. Both HSM and CASB usage is expected to double in the next year, up from 12 to 24 per cent.